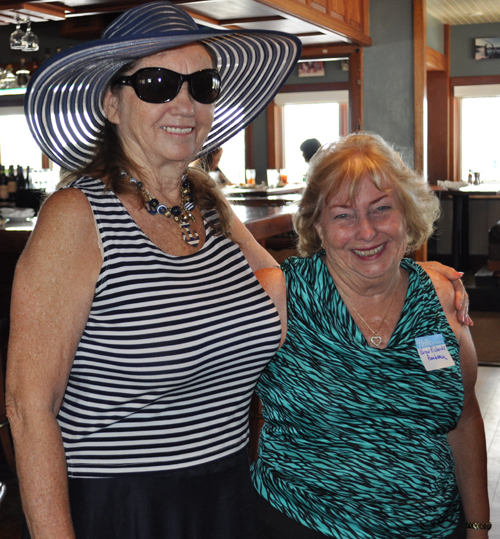 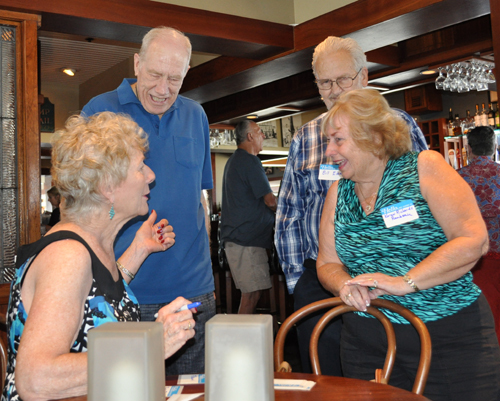 These are photos from the second event of the MCHS Class of 1960 55th Reunion, a lunch gathering at the Bluewater Grill in Redondo Beach on Sept. 28, 2015. 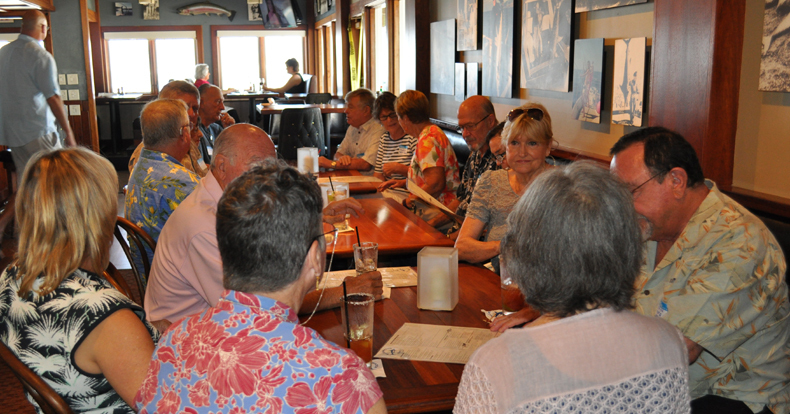 From left around table: Jim McCaverty, Christie Smith Goodwin, Carolyn Strong White, Ken Elling, Janet Nollan Elling, Barbara Lewis Borak, John Costello, Linda Reardon Neal, Vickie White Costello, Darlene Goodwin, Harry Borak, Bob Stichter, Don White, Mary Amo Graf and Steve Graf. 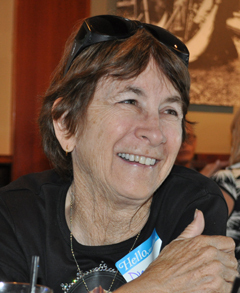 Above: Diane Denholm Amendola. 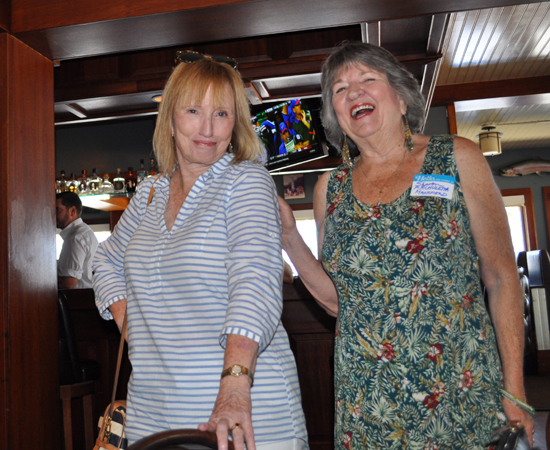 At right: Nanci Corcoran Kelly and Sharon Archuletta Mansfield. 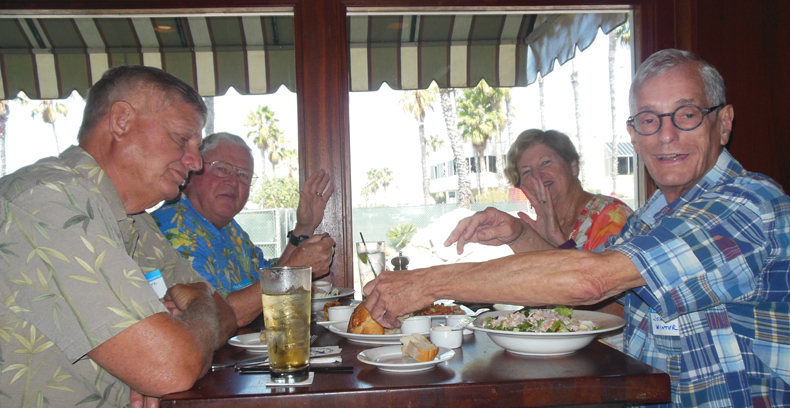 Here are Steve and Mary Amo Graf, Ken Elling and Janet Nollan Elling, and Sharon Mansfield Archuletta. 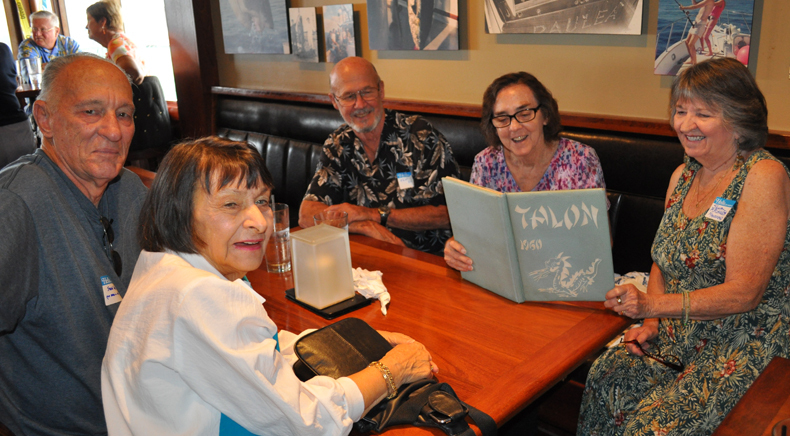 Janet and Sharon are checking out old friends in the 1960 Aviation High School Talon yearbook that was brought by Gloria Gentle Pedersen (AHS '60). 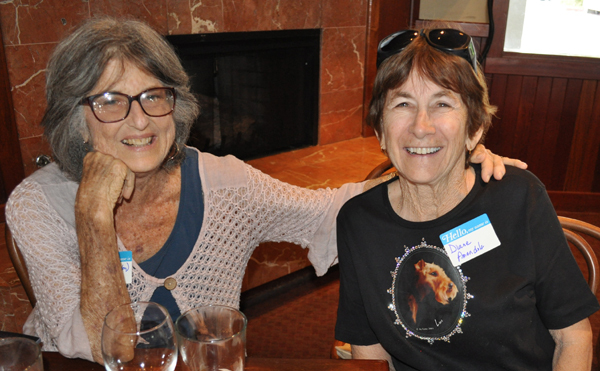 Because almost all 1960 AHS graduates attended Mira Costa in 1956-57, they have been invited to MCHS 1960 functions ever since AHS was closed in 1984-85. 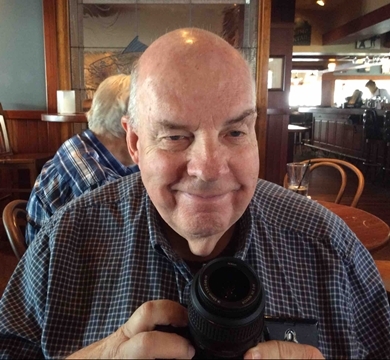 An opinion from the webmaster: Building and then closing a third high school in a district where long-term enrollment trends indicated that only two high schools were needed is the South Bay's exhibit A for wasteful planning. 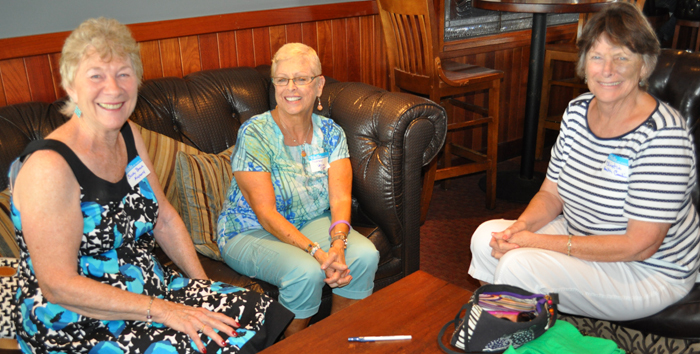 Besides, it needlessly divided classmates and created situations like this one where MCHS alumni look in the AHS yearbook to find friends.